Painting out of her home studio located on the Flathead Indian Reservation in Montana, overlooking the southern end of the Flathead Lake, Karen Noles has access to more than 30,000 acres of land both for recreation and artistic backdrop. Karen rates horseback riding as her number one recreational activity. 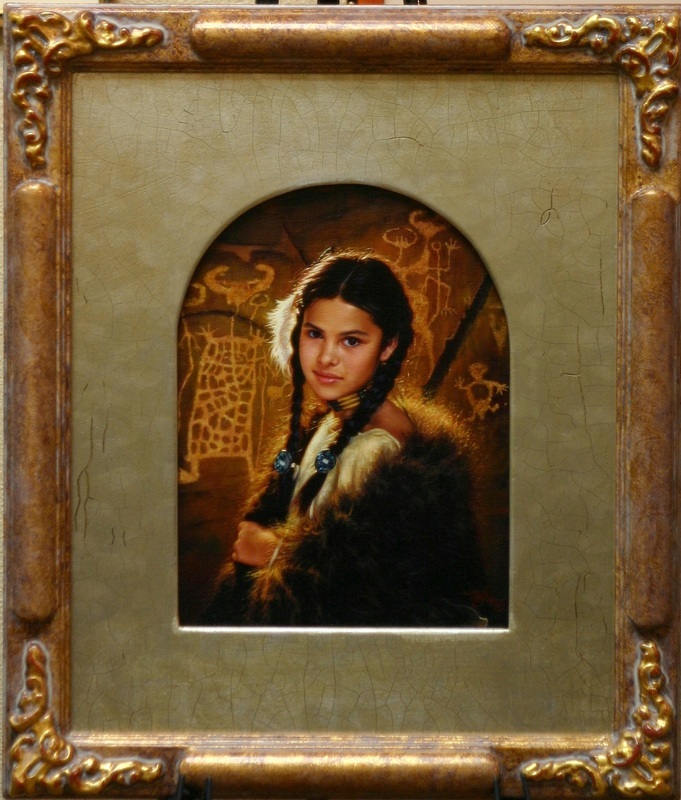 Karen Noles` oil paintings feature the domestic life of the 1800`s Native American , especially the early reservation time period. For accuracy`s sake and in order to convey realism, Karen spends weeks (sometimes months) researching each painting, collecting reference and museum books on early Native American life and visiting museums to photograph their exhibits. She then incorporates the "realism" of her research with her inner images. One of the aspects Noles enjoys most about painting this time period is the depiction of the bead and quill work for which the Native Americans are so well known. "I find that not only can I try to portray a situation of that time, but I can also give honor to their works of art", says Noles. Another detail which adds realism to Noles` work is her effort to use Native American models and wild animals in the photo shoots for her paintings. "The children that I`m working with now I`ve been working with for a few years; the parents know and trust me. Children have such a wonderful imagination and do such spontaneous things - some great paintings come out of it all." She often relies on a friend who rehabilitates injured or abandoned animals, who will bring over a fawn, fox pups, young lynx or perhaps a bobcat who are tame enough to be used in a photo shoot with her child models.